If you’re a fan of Showtime’s awesome (and gone too soon!) series, Penny Dreadful, than the always reliable Titan Comics is about to make your day. A follow up to the series is headed our way in comic form and it’s loaded with talent. The new trailer that just hit the web should likely be more than enough to get your motor revved! You can also get a look at all six covers of the first issue below! 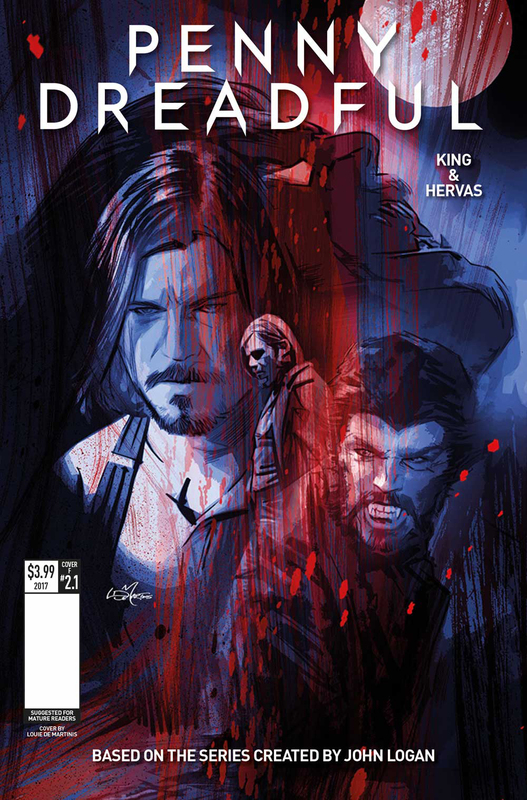 Written by “Penny Dreadful” TV series co-executive producer Chris King, with interior art from Jesús Hervás (Sons of Anarchy) and colors by Jason Wordie, this new comic sees Ethan Chandler (portrayed by Josh Hartnett in the series) unable to move on. As he searches desperately for meaning in a world without Vanessa, ancient words echo across the centuries, and he is called on once again to take up arms against the creatures crawling out of the night. The BAFTA Award-winning “Penny Dreadful” TV show — created, written, and executive produced by three-time Oscar nominee John Logan (Hugo, Gladiator, Skyfall, Spectre) — features classic characters from Victorian Gothic literature and a host of brand-new characters, including Vanessa Ives, Sir Malcolm Murray, Frankenstein’s Monster, Sembene, and Mina Harker. Titan Comics’ Penny Dreadful #1: The Awaking comes with six fantastic covers to collect from artists including Stephen Mooney (Half Past Danger), Rob Davis (The Motherless Oven), Shane Pierce (Judge Dredd, Vikings), and Louie De Martinis (Penny Dreadful prequel mini-series) and also two incredible connecting photo variant covers. Penny Dreadful #1: The Awaking hits comic stores and digital platforms on April 5, 2017.